Sorry about the chai-eesy name of this post. I can’t help myself. This recipe was simply delish. My coworkers and I polished it off in a couple of hours and while that’s no mean feat for me, the others are usually a bit more controlled in their consumption of baked goods. Me, well, I have on occasion gone back for more pieces of cake than I care to number, but my coworkers – they can show restraint. 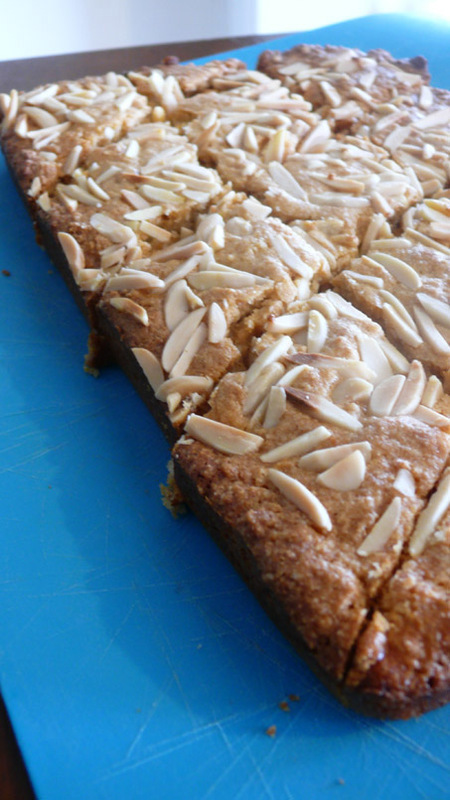 Not with this chai semolina slice, however. Let me preface this recipe with the story of the girl who doesn’t drink coffee or eat milk and dark chocolate. Many of the world’s most beloved delicacies are wasted on me because I find brown chocolate too sickly and coffee too bitter. The story with chocolate goes that my parents gave me a Smartie when I was a teeny tiny tot and I spat it out and started crying and chocolate still pretty much has that effect on me today, 26 years later. Coffee, well, I never grew into it. But before you totally write me (and this blog) off as totally nuts, let me assure you I have a perfectly HEALTHY (read: unhealthy) love of white chocolate, and I FREAKING LOVE CHAI TEA. 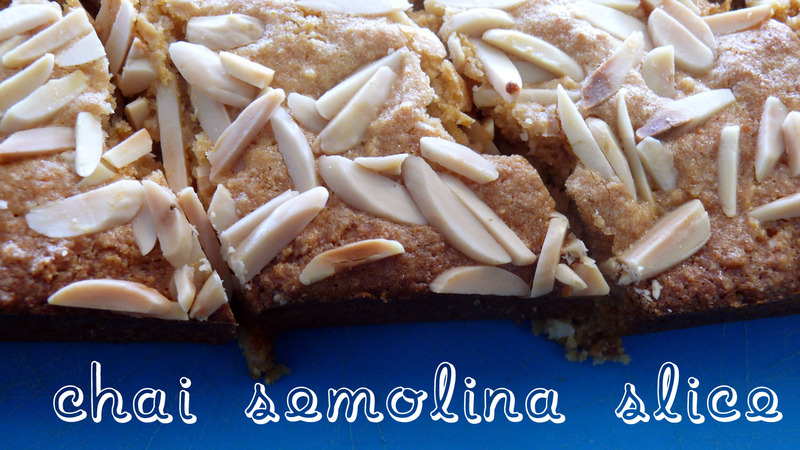 Enter this recipe: chai semolina slice. 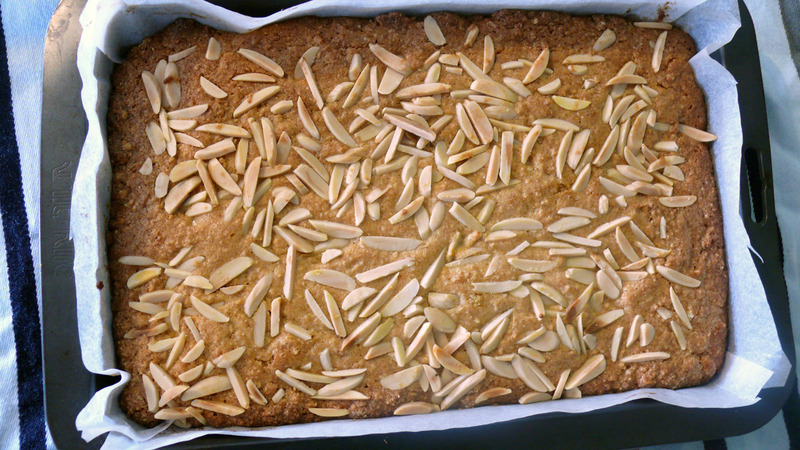 It’s a chewy, crumbly slice that literally takes minutes to prepare before chucking it in the oven. I can imagine it with some white choc chips sprinkled through, or milk/dark choc chips for you non-discriminatory types! Preheat oven to 160 degrees (140 fan-forced). Line a shallow 17x27cm slice tin with baking paper, allowing overhang. 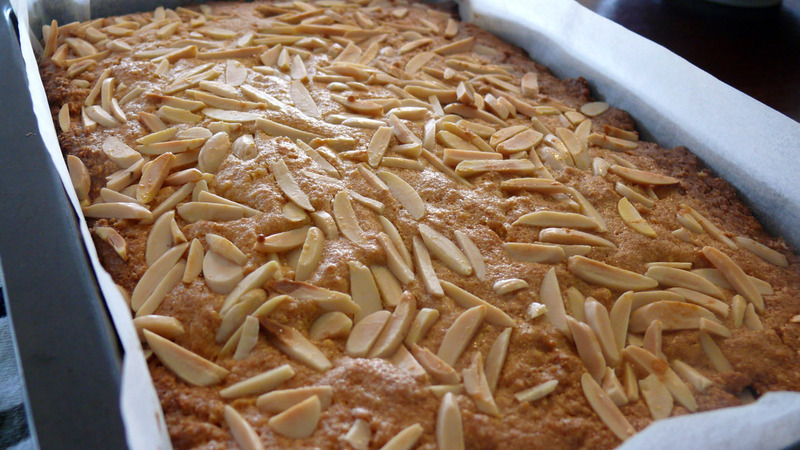 Combine all the dry ingredients bar the slivered almonds and icing sugar. 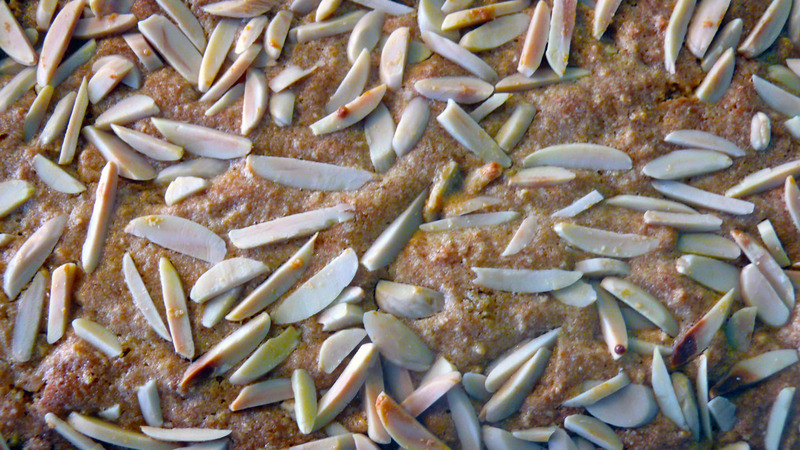 Give it a good stir to break up the lumps in the almond meal, sugar and semolina. Make a well in centre. 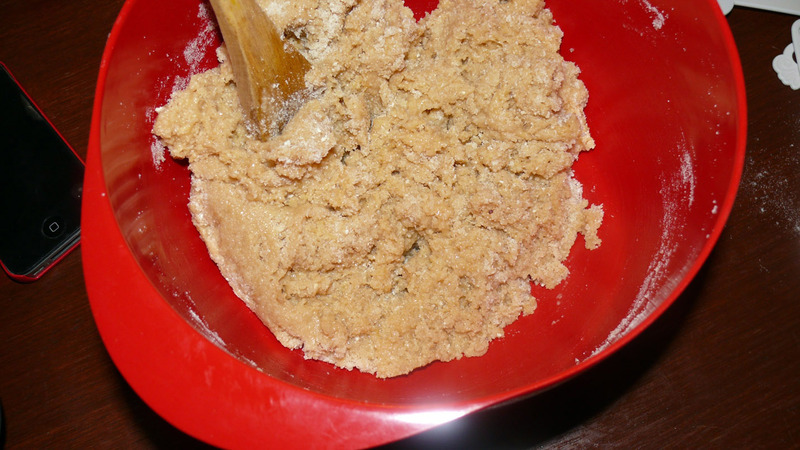 Pour egg, vanilla and butter into well and fold gently into dry ingredients. Fold until JUST combined. Do not over mix. 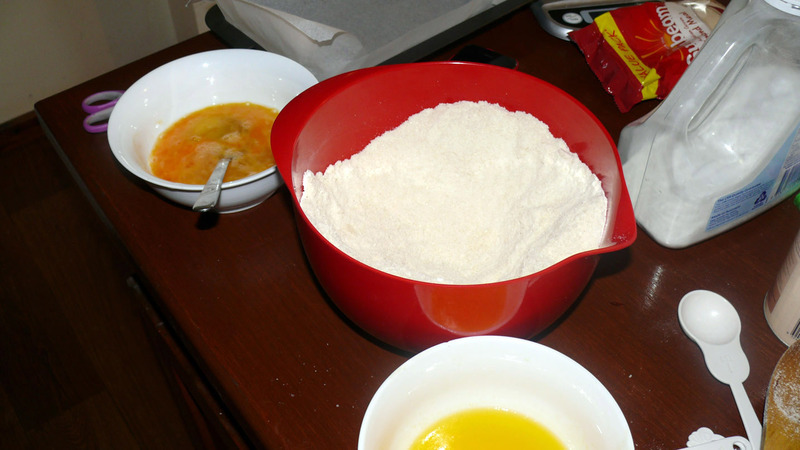 Tip mixture into lined baking pan and spread evenly with a spatula or spoon. Mixture will be very thick and heavy. 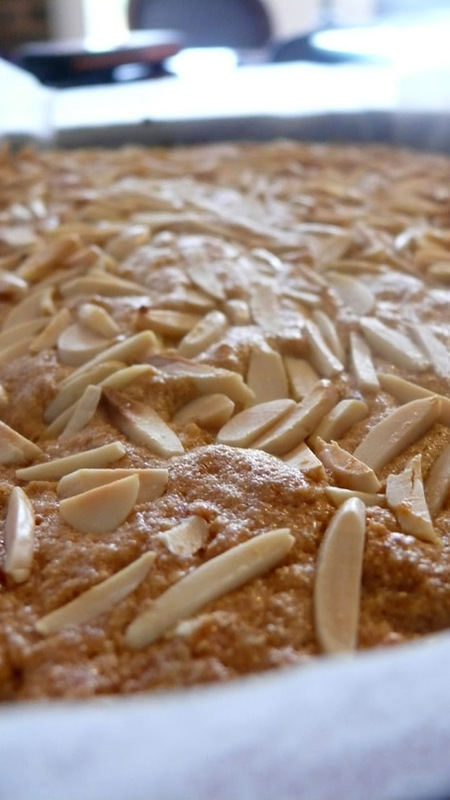 Sprinkle slivered almonds onto the batter and press down. 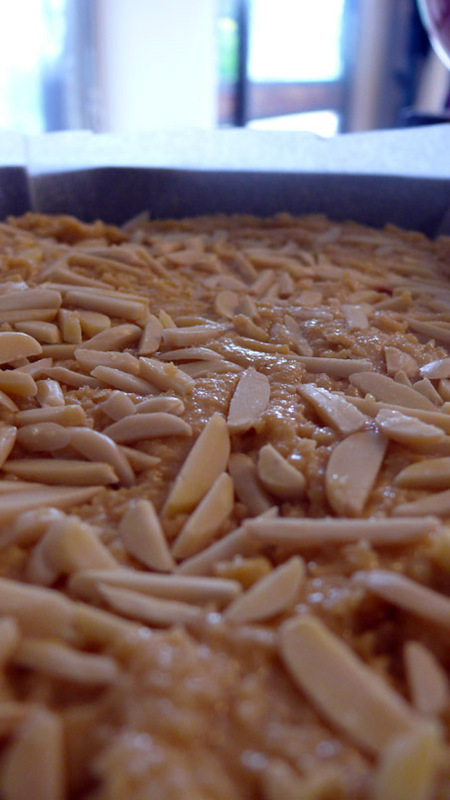 Bake slice 45 minutes or until golden and firm to touch. Cool in pan for 5 minutes before turning onto wire rack to cool. 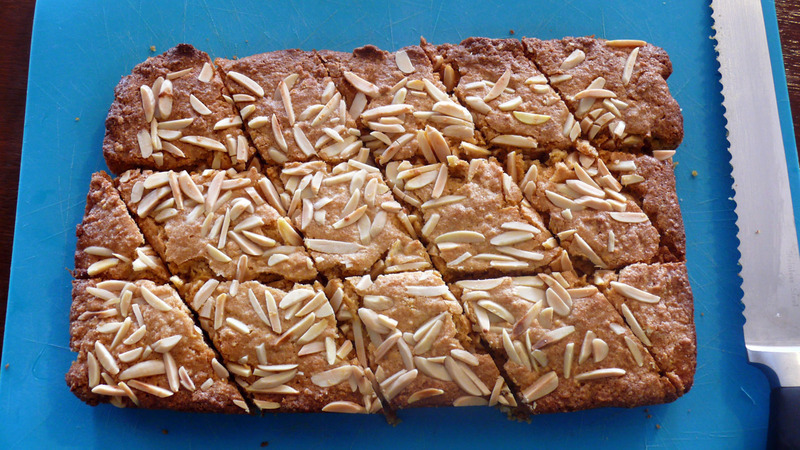 Slice into triangles and dust with icing sugar to serve. 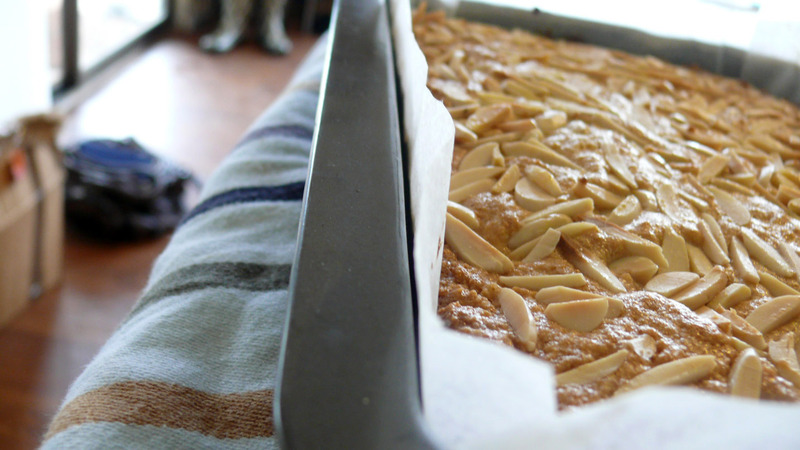 That looks really good and I bet I could substitute gluten free baking mix for the semolina flour. I am going to make this soon. I think my whole family will love it.